I thought this cake sort of looked like Georgia Tech – – – at least that’s my excuse for making it! Looks delish! 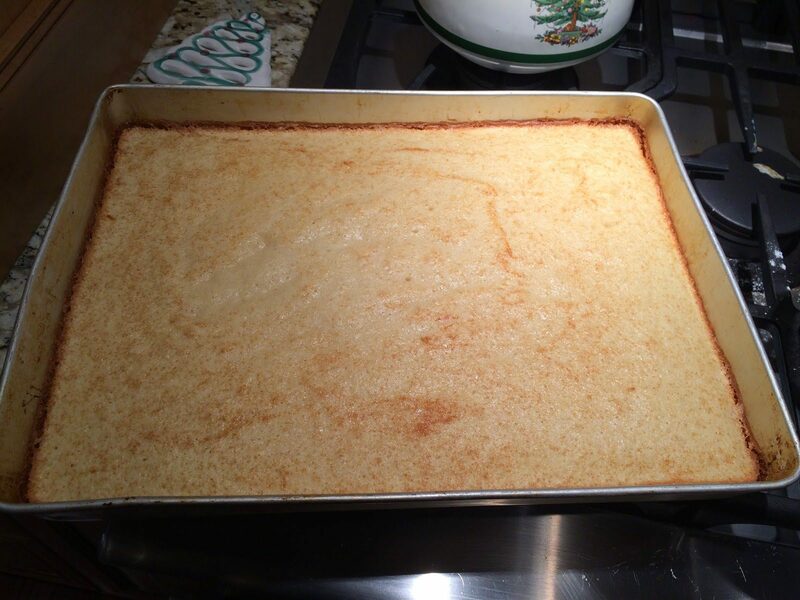 Preheat oven to 350 F. Grease or spray either a 9x13 or 10x15 rectangular baking dish and set aside. 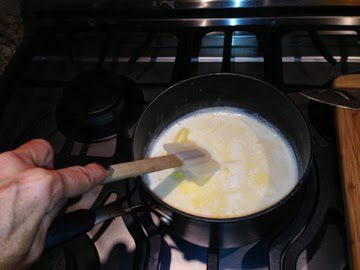 In a small saucepan over medium heat, add 1 cup of milk and bring to slight boil. 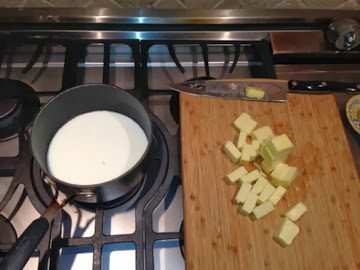 Once the milk has been brought to a boil, add the 2 sticks of cubed butter. Stir with a rubber spatula until butter has completely melted. Then remove pan from heat and set aside. 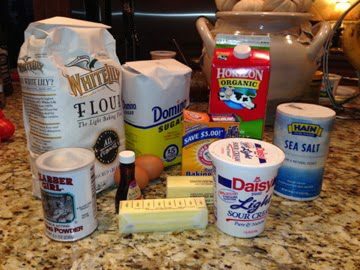 In a large bowl, add the 2 cups of flour, 2 cups of sugar and 2 eggs and mix to combine. Then slowly pour in the warm milk liquid while beating the mixture. Make sure you pour it in very slowly so the eggs don’t turn into scrambled eggs. Once the milk has been added, the mixture should be smooth. 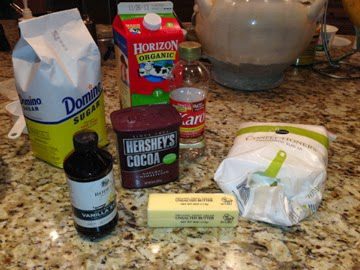 Then add the 1/2 cup sour cream, 1 tsp salt, 1 tsp baking powder, 1 tsp almond extract, and 1/4 tsp baking soda. 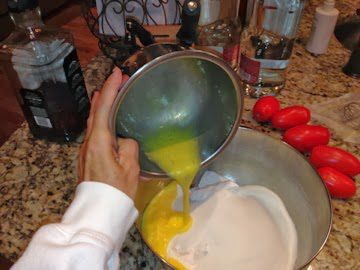 Once the mixture is well blended pour it into the baking dish and smooth the top. Place pan in the oven. 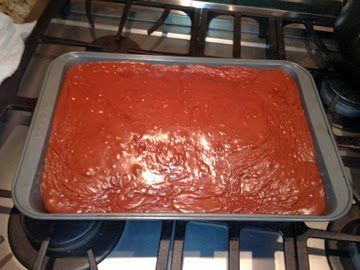 Bake for 30 minutes, but start the frosting about 20 minutes in (***OR you can bake at 375 degrees F for 18-20 minutes if using a 15x10 pan). 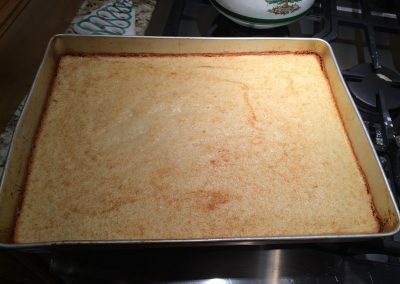 Cake is done when lightly brown on top and a toothpick comes out clean when inserted into the middle of the cake. 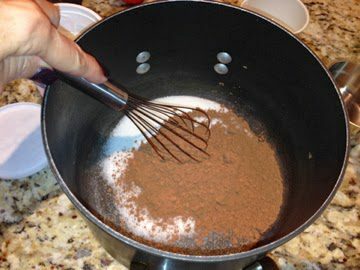 For the frosting: In a large saucepan on medium high heat, whisk together 1 cup sugar and 1/2 cup cocoa powder. 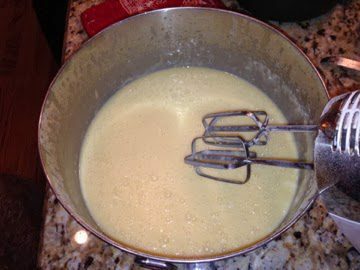 Then whisk in the 1/2 cup milk, 4 TBSP butter, and 2 TBSP light corn syrup. Continue to stir until all ingredients are well blended. Remove pan from heat. Slowly add in the 4 cups of powdered sugar one cup at a time stirring after each addition. 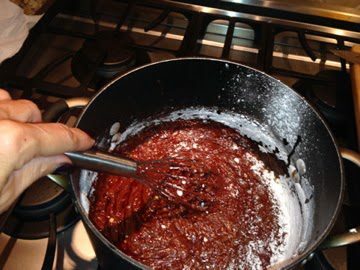 Once all the powdered sugar is added, add the 2 tsp vanilla extract and mix to combine. 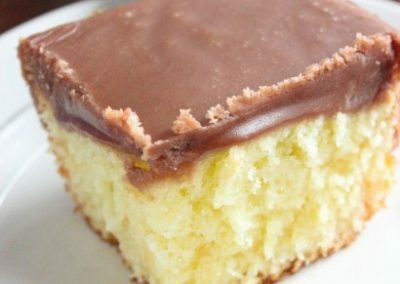 As soon as the cake comes out of the oven, pour the frosting on top. 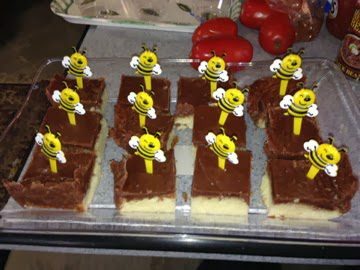 Allow the cake to cool and the frosting to completely set before serving. 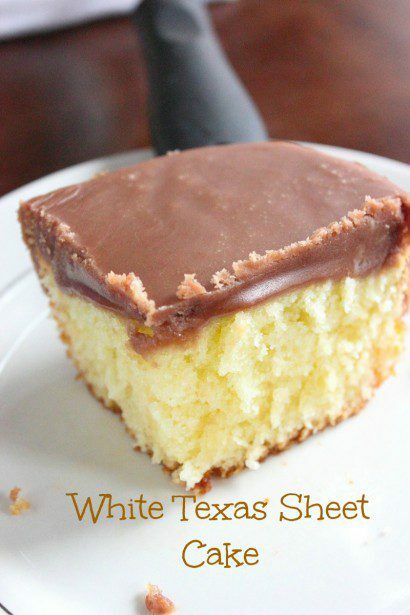 *This cake (like the chocolate version) freezes beautifully.